The FMIF220 can produce 200kg of flaked ice every 24 hrs. It has a storage capacity of 150 kg. 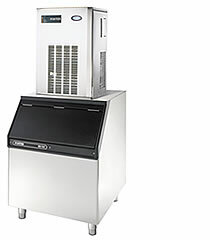 It offers complete temperature control and superb hygiene, which is vital because ice is given the same hygiene consideration as foodstuffs.